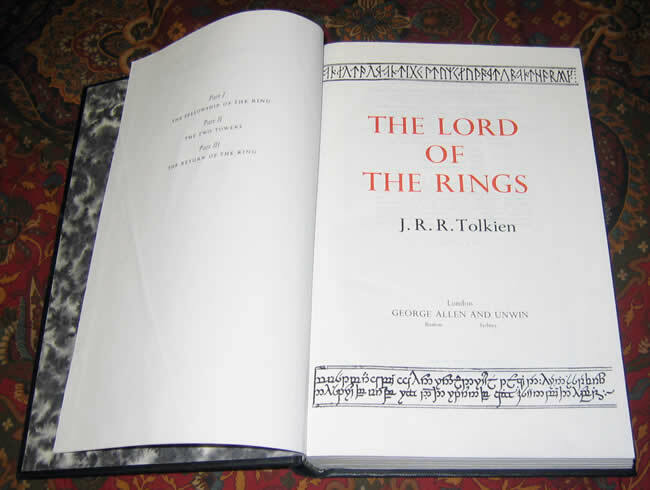 #000533 - The Lord of the Rings, Allen & Unwin Deluxe 1 volume edition, 1978 6th impression with publishers Case - $250.00 A Near Fine copy of the book, in a Very Good Plus case, with the label to the front. The book basically has no faults, clean and bright, the slightest of markings to the rear boards. A Near Fine copy of the book, in a Very Good Plus case, with the label to the front. The book basically has no faults, clean and bright, the slightest of markings to the rear boards. The Lord of the Rings, De Luxe Edition, by George Allen & Unwin. 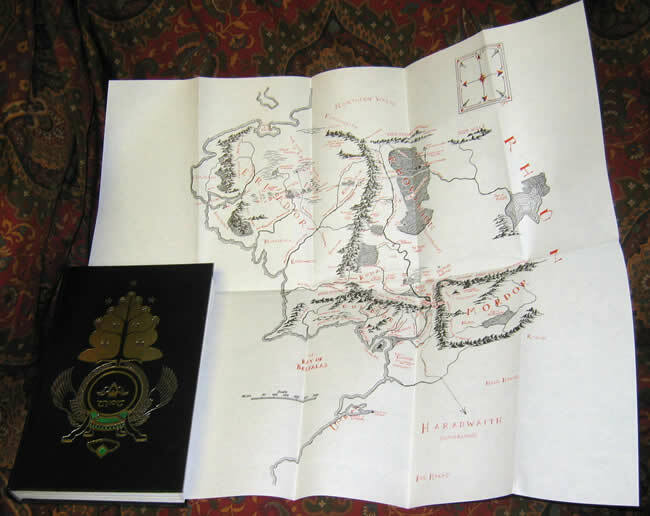 This is the 6th impression of the 1 volume De Luxe Edition of the Lord of the Rings, published by Allen & Unwin in 1978. A Near Fine copy of the book, in a Very Good Plus case, with the label to the front. The book basically has no faults, clean and bright, the slightest of markings to the rear boards. 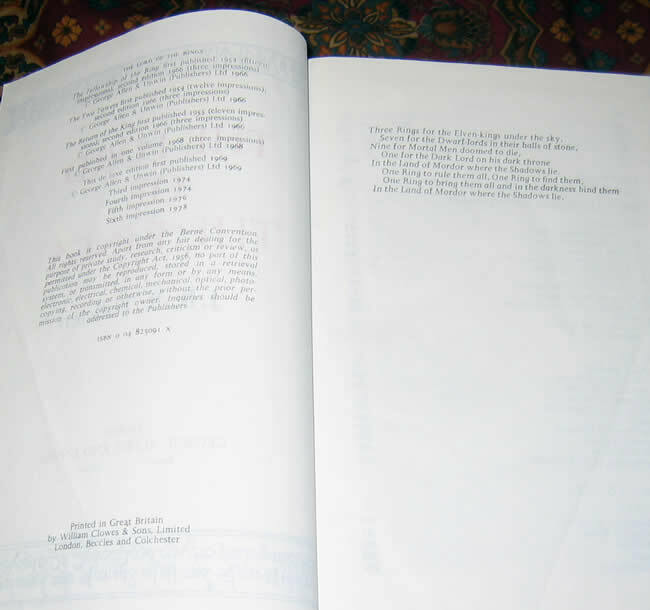 This edition is printed on India Paper, making the full 3 volumes bound into a single volume, only 1 inch thick. 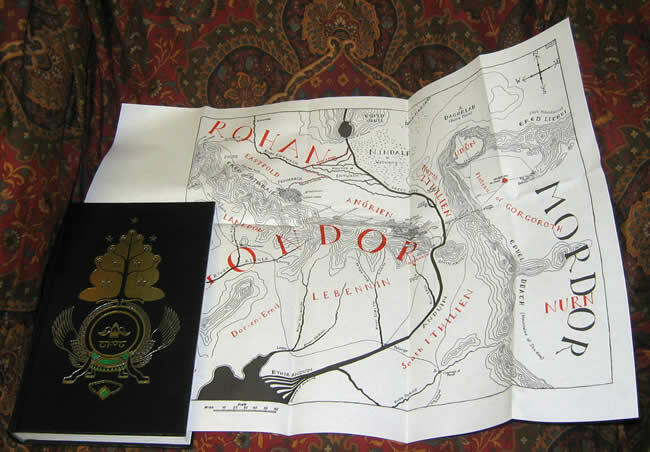 The black buckram cloth has the Tolkien design depicting the Numenorean throne with 'Elendil' in tengwar, stamped on upper cover in gilt, silver and green. 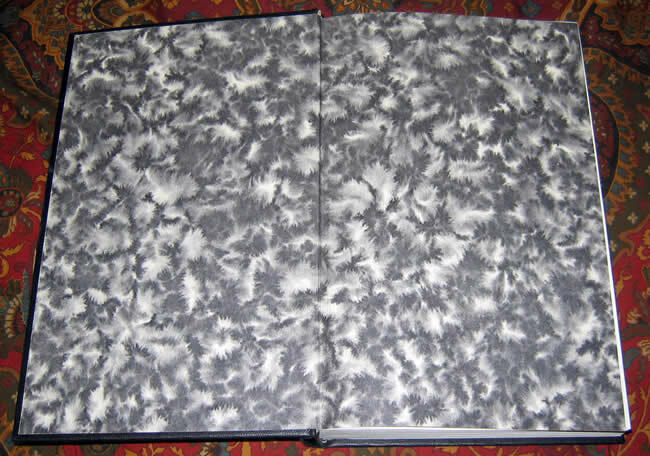 Mottled black and grey wove endpapers, all edges trimmed and speckled light green. Housed in the original publishers box. Both maps bound in, and in Fine condition, no tears or loss.